we install all kinds of Plasmas/LCD /LED/4K TVs. 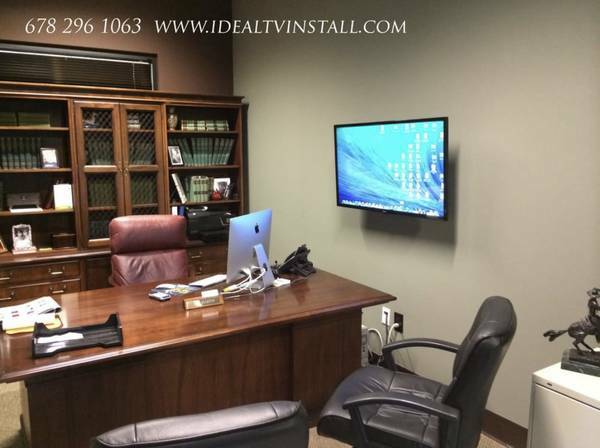 We will make sure you are getting the most professional service for your new system. Professionals Service Without the Attitude!! 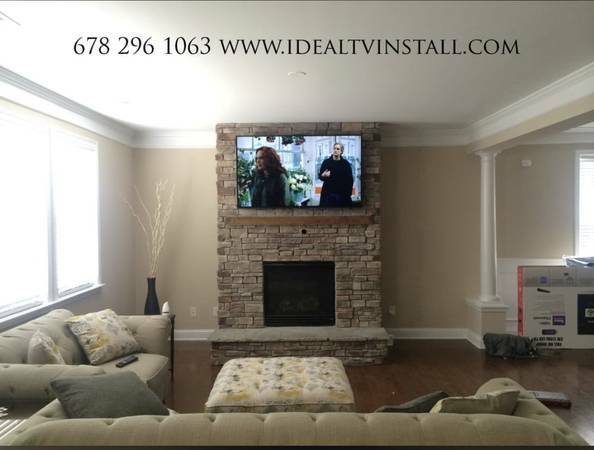 Flat panel TV installation over fireplace is the best-looking TV installation. Fireplace is usually the centerpiece of the room. Space above the fireplace is good for art, mirror, or your new flat panel TV. Many people are concerned about installing TV over their fireplace. Is it safe? Will fireplace heat damage my TV? It's perfectly safe to mount LED, LCD, and PLASMA TVs over the fireplace. Wall above fireplace is just like any other wall in your house and in some cases even stronger. Two major Things to consider before TV installation over fireplace. First is TV viewing height. Second wire concealment. Wires have to be longer than regular TV installations. Surround speakers can be positioned on sidewalls or the rear wall. In media rooms, location usually depends on architectural elements of the room such as windows and doorways. In an existing home, wiring for wall-mounted speakers is typically much less time consuming and invasive than for ceiling speakers. Sketch out your room for us and we can advise you on your best surround speaker options. If you are creating a media room from scratch or have easy ceiling access, there are many ceiling mount speakers that can be angled toward the listening position. 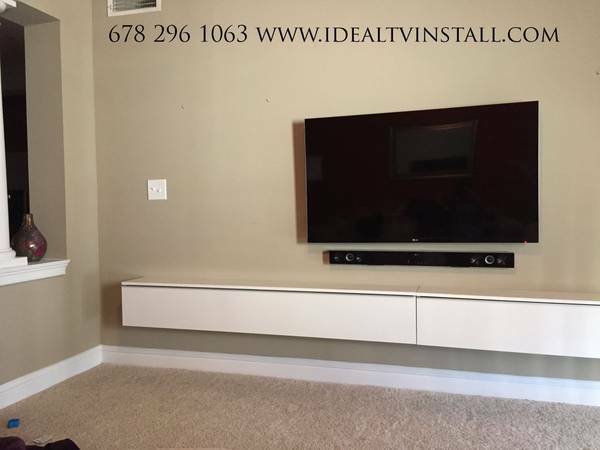 In situations where you absolutely have no room for a speaker anywhere other than at the TV, something you may consider is a speaker bar, with multiple speakers in one compact cabinet. Some speaker bars offer a wireless subwoofer.